♥ Ring width: 1-1.1mm. This is meant to be a modern and dainty ring. 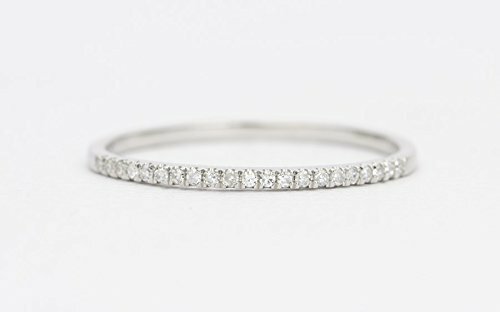 ♥ Diamonds go about 40% the way around the ring for a size 5, which provide enough finger coverage (covers top portion of your finger). If you have any questions about this product by Aurora Designer, contact us by completing and submitting the form below. If you are looking for a specif part number, please include it with your message.